Customization Is it possible to make a shoe more unique or lovable? Add your initials. 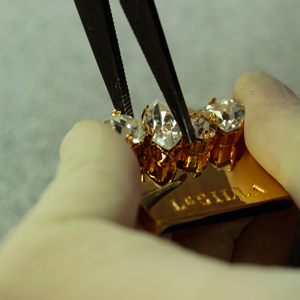 With a special laser technique and application of crystals you can customize the leather sole of your new Le Silla. Express your personality. Packaging & Gift Message Each purchase is special for us and deserves gift box that makes you dream with a special coordinated packaging service. From the shoes box to the envelopes, from the bow to the bronze ribbon with the logo, they will all make unique and precious every single purchase you make, as your own personal gift to unwrap. Accompany your gift with a personalized message to celebrate a special moment. Once you landed the check-out, digit your inscription in the specific box to make your gift very original. PERSONALIZED TAILORING SERVICE Le Silla offers a free tailoring service and assistance to its customers to meet their specific fitting needs: to tighten or enlarge the boot legs, extend or add some holes on the ankle straps. 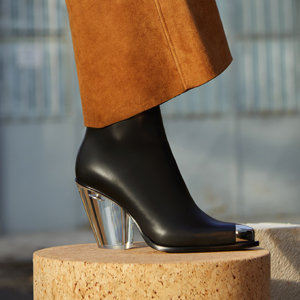 Le Silla also provides free pull-out inner soles and half soles of different thickness to reduce the fitting. 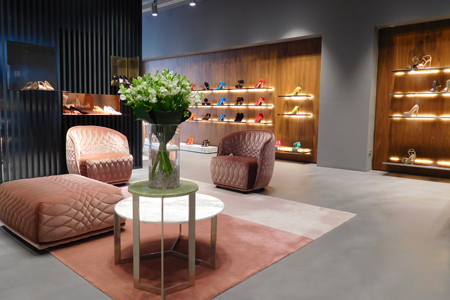 Please contact Le Silla e-Boutique customer service customercareshoponline@lesilla.com. repair Le Silla offers support and free repair to its customers within 2 years of online purchase in case they need replacement of heels or under heels, broken zip, accessories, missing crystals or any other intervention aimed to restore the original status of the shoe, upon availability of the replacement materials and components. For this special service, please contact Le Silla customercare team sending an email to customercareshoponline@lesilla.com.